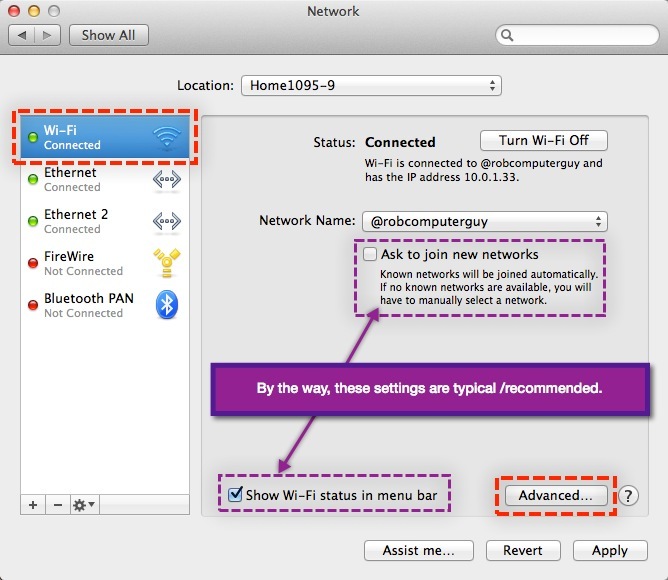 OSX keeps a list of wifi networks you have previously joined. If you find that your computer keeps joining the wrong wifi, you can fix it this way. On your Mac, go to System Preferences, Network. If “Wi-Fi” is not already highlighted, then click on it. Then click on “Advanced”. On the next screen, you will see a list of every wifi you have ever joined. Initially, this list may be very long, but ideally, this list is very short. Click the minus “-” sign on any wifi network that you do not need to automatically join in the future. 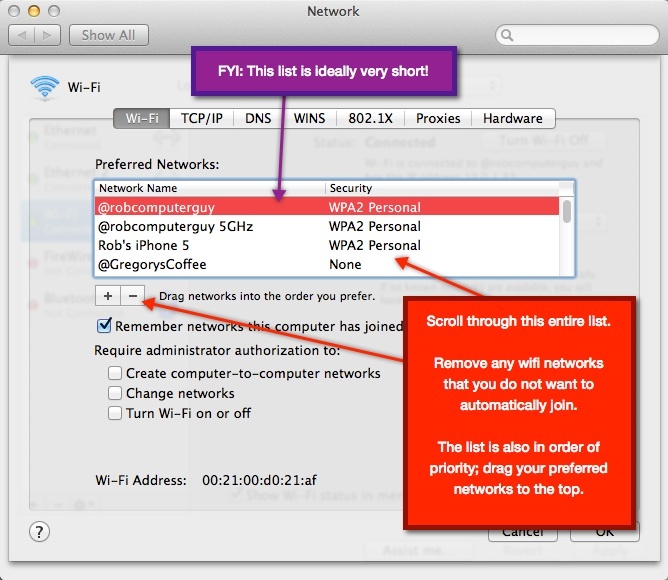 OSX will join wifi networks on this list in the order that they are listed, so if you wish to change the priority order of this list, you can reorder this list by dragging the lines upward or downward. Before you use the GripStick please read this completely. 2. First, try to shake off any loose pieces from the broken headphone plug that may fall off the jack. Depending on how your plug broke, these might be pieces like the outer cylindrical shells that form the metal contacts of the plug. 3. Then, try pushing the GripStick into the device by hand. Since not all devices have the same tolerances it may or may not go in easily. If pushing it by hand does not work, try to very lightly and slowly tap it in. It should go in about the same length of a headphone plug. Don’t push it in too far with force as it could bend the tip. 4. If your plug broke in such a way it left the cylindrical metal shell inside the jack, then pay special attention when inserting the GripStick such that the tip slides between the outer side of the cylinder and the jack wall. Make sure the tip of the GripStick does not get caught on the inside of the cylinder shell. IMPORTANT: Do not twist the GripStick when either pushing it in or pulling it out. This could damage the connectors in the device because of the slot in the GripStick. 5. It may help to hold the device with the headphone jack upside down while pulling the GripStick out so that if the broken piece comes loose, gravity will allow it to fall out. 6. When pulling the GripStick out, try pinching the GripStick with your fingers as you pull. This will help grip the broken piece and pull it out. Pinch the GripStick closest to the device as possible. If it pinches closed too easily, make sure you have slid the GripStick in between the broken jack and headphone jack wall. If the GripStick tool is in far enough so that it’s gripping the broken jack, it should be OK if it bends slightly as you are squeezing/pinching. 7. Make sure you get all of the broken pieces out. If you are not sure, please try using a cellphone camera/flash to look inside the jack.